Introduced in 1968 as the first-ever dermatologist inspired, Allergy Tested, 100% Fragrance Free line of skin care products, Clinique became an instant classic. And more than four decades (and over 135 countries) later, the essential concepts still remain. So what are the words that define the brand? At the very core of Clinique’s philosophy is the understanding that everyone has a different set of environmental, psychological and physiological factors influencing her skin’s needs and appearance. From the texture of every moisturiser and serum to the properties of each foundation and lipstick, Clinique knows how to address any skin type. Oily or dry, pale or olive, flexible regimens make Clinique skin care and makeup both individualised and universal. Superb skin is as simple as 1-2-3. The Clinique 3-Step Skin Care System is not only the cornerstone of the brand, but truly a universal icon in cosmetics. A daily regimen of Facial Soap, to cleanse, Clarifying Lotion, to exfoliate and Dramatically Different Moisturizing Lotion or Gel, to moisturise, creates great skin. Three products. Three minutes. Twice a day. It’s as easy as that. Exfoliation, the natural process of skin renewal, is the key to younger looking, radiant, more even-toned skin. Clinique was the first to advocate the universal need for gentle daily exfoliation and has a history of creating gentle, yet effective products that can be easily tolerated by all skins. The key is finding the right strength of exfoliation for each person’s individual needs and using ingredients that can be tolerated by all. Used for hundreds of years in dermatology, Salicylic Acid is one of Clinique's core ingredients and one of the best exfoliants. Many of our products use a range of gentle exfoliants like this to encourage healthy cell renewal. Teaching the client about his or her individual skin type, how to care for it and what helps skin look its best would be impossible without the Clinique Consultant. Thanks to education programs that have become the gold standard in the industry, Clinique Consultants are ever-devoted skin care professionals capable of consulting each client on how to care for their skin and apply makeup in a clean, beautiful way. They are defined by an impeccable appearance, endless product knowledge and of course, the white lab coat. In his quest to educate his patients, Dr. Norman Orentreich found that when asked to assess their own skin type, most people would guess wrong. Therefore he developed what has since become known as the “Clinique Computer.” This scientific approach, born of a medical understanding of skin, is now used at every Clinique point of sale around the world. Based on key physical attributes that do not change eye colour, pore size, natural hair colour, how your skin reacts to sun, etc., as well as a few other criteria, Dr. Orentreich developed a diagnostic tool unlike anything else in the industry. Based on this information, the Consultant then selects the appropriate regimen for each individual’s needs-from basic daily care to advanced treatments, foundation and makeup. Clinique’s Research and Development team works tirelessly to find new ways to create innovative formulas that address the needs and concerns of the client. There is an added level of difficulty when creating products that are allergy tested, so Clinique scientists in the United States, Europe and Asia conduct extensive research to isolate key ingredients and develop new textures and delivery mechanisms to make sure that everything sold stands up to the brand’s strict guidelines. With every new advance comes the meticulous testing used by Clinique to scrutinize products. In order to ensure the “Allergy Tested” claim holds true, every Clinique formula is tested by an outside medical research team. This dedication has enabled Clinique to create an excellent line of products, earning respect and dedication from customers as a best-loved and well-trusted brand. Clinique pioneered the connection between dermatology and cosmetics and continues to fuse these two worlds with the introduction of products that continue to address specific dermatological concerns such as acne, redness, hyperpigmentation and de-aging. In a time when the industry thought that beautiful yet efficacious products for women with special concerns were unattainable, Clinique achieved the impossible through its partnership with dermatologist Dr. Norman Orentreich. In keeping with that tradition, Clinique’s Research & Development department has continued to stay on top of the latest scientific developments by working with the foremost universities, researchers and dermatologists. Building on the brand’s heritage scientists are always striving to find out more about our skin’s natural mechanisms, so that we can work to influence these processes. Showing 20 products of 244. Does Clinique Acne Solutions Solve Acne? 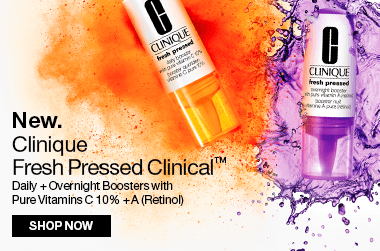 Which Clinique 3-step System is Best for You? i like this foundation as it lasts long on my skin and did not dry out my skin either. but the undertone for the lighter skin shade is just weird and lean too pinky tone for me.